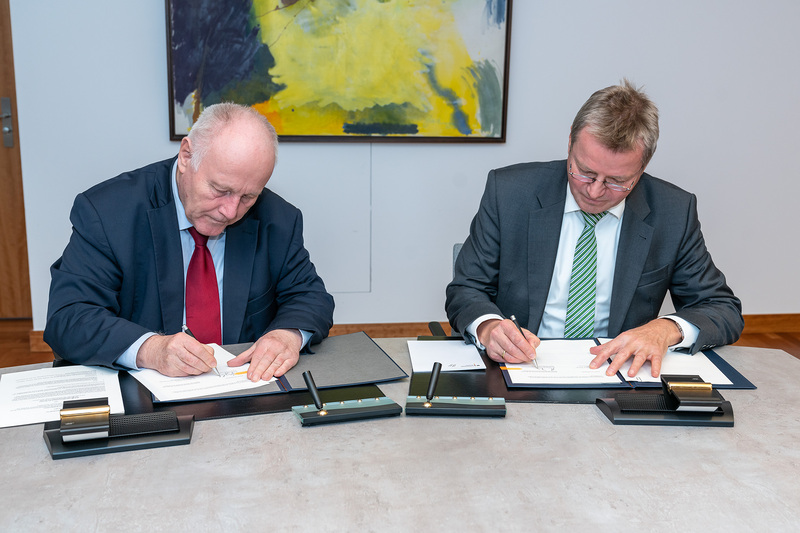 Dr. Helmut Teichmann, Deputy Minister (“State Secretary”) at the Federal Ministry of the Interior, Building and Community, and the Chairman of the Forum of Federations, Prof. Dr. Georg Milbradt, former Premier (of Saxony), signed the renewal of Germany’s partnership with the Forum of Federations . Germany signaled strong continued support for the Forum of Federations for another three years. The German government supports the good work of the Forum through the Ministry of the Interior, the Federal Foreign Office and GIZ – Deutsche Gesellschaft für Internationale Zusammenarbeit. At the event, the State Secretary Dr. Helmut Teichman stated: “We are looking forward for continued collaboration and wish the Forum of Federations success in its worthwhile endeavors within the framework of the renewed contract”. Prof. Milbradt, the Chair of the Board of the Forum of Federations announced that he plans to continue representing Germany on the Forum’s board of directors.